Hi guys! 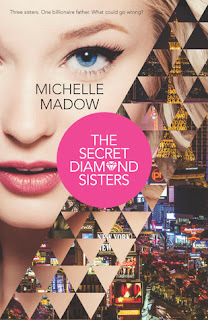 Today, I got to interview the lovely Michelle Madow about her trilogy called The Secret Diamond Sisters! The Secret Diamond sisters books are perfect for fans of Mean Girls and it's about three sisters finding out that they have a father who is a billionaire hotel owner in Las Vegas! I enjoyed these books so much and I highly recommend them! 1. What inspired the Secret Diamond Sisters Trilogy? I was walking through my favorite hotel in Las Vegas — The Wynn — when I thought, “What would it be like to live here?” From there, the idea for The Secret Diamond Sisters formed! I love how the city bursts with magic and excitement. Vegas does everything as big as possible, so being there is like entering a fantasyland. My favorite part is definitely all the different hotels. Each one is a different theme, and they all have such distinct personalities. A few of my favorite hotels are mentioned in The Secret Diamond Sisters (Paris, the Venetian, and many implications to the Wynn), so hopefully readers are transported into these magical hotels while they’re reading the book! 2. Out of the three Diamond sisters-Savannah, Courtney and Peyton, which one do you relate to the most? 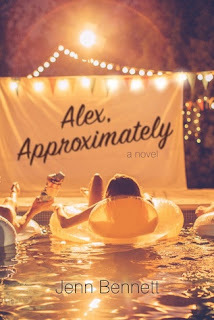 When I was in high school, I related the most to Savannah, but nowadays, I’m definitely the most like Courtney, because of my focus on writing and how I put it before anything else in my life. 3. Would you like a life in Las Vegas or are you more of a country lifestyle person? Neither! I prefer cities, but cities that are more down to Earth than Vegas. But if I had to choose between Vegas and the country, then I would choose Vegas! Country life is definitely not for me. 4. If you found out you had a secret father who was a billionaire, what would your initial reaction be? My initial reaction would be to wonder how I had a secret father when I’ve known my father my whole life ;) But if, like the Diamond sisters, I didn’t know my father my whole life, my initial reaction would be to wonder my he didn’t want to be a part of my life until then. 5. What advice do you give to aspiring writers? A writer I know once told me, “You have to write one million bad words before you write anything others want to read,” and that is so true. Writing is a skill, and like any other skill, it takes practice to improve. Experiment with different approaches to writing a novel so you can find what works best for you. Most importantly, above anything else, you have to write. Know what time of day you get your best writing done, and force yourself to write during that time, even if you’re not feeling “inspired.” Writing is work, and it’s not going to be fun all the time. There will be parts you will struggle with, that will frustrate you to no end and make you want to hit your keyboard, but you need to keep your end goal in mind. Set a minimum goal of how many words you can comfortably write per day, and reach that minimum five days a week. Make sure your goal per day is attainable for you—if it’s too high, it will be frustrating and will make you want to quit. And remember that even if you’re having a rough writing day, force yourself to reach that minimum. First drafts don’t need to be perfect, since you will edit it afterward. Once your draft is completed, edit to the best of your ability. Show it to friends, family, and teachers to ask their advice on how to improve. After all that, you’re ready to start learning about the publishing process! 6. Is there anything else you want us to know? If you want a book of mine for FREE, visit www.michellemadow.com and claim your free copy of Elementals 1: The Prophecy of Shadows! It’s the first book in my latest YA urban fantasy series about witches and Greek gods — it’s perfect for fans of Percy Jackson and Harry Potter. Thank you Michelle for letting me interview you for my blog! Guys, if you haven't read her Secret Diamond Sisters Trilogy I highly recommend them! They're so fun and really you just fly right through them! Hope you guys enjoyed this interview! Carey Corp and Lorie Langdon Interview! Met the Author: Jojo Moyes!!! The Crown by Kiera Cass Book Review! Leigh Bardugo: Met the author Experience!!! Rick Yancey: Met the Author Experience!!! 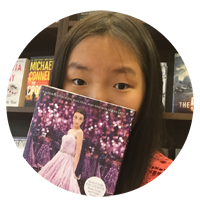 Marissa Meyer: Met the Author Experience!!! Cassandra Clare: Met the author experience! Fierce Reads Book Tour Experience!!! How to get over book hanovers...with more books!